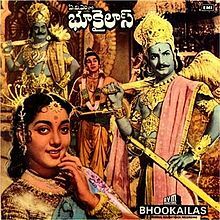 Neelakandharaa song is one of the great songs composed by Music directors Sudharshanam and Govardhanam, The Lyrics of Samudraala Senor is superb in meaning. The song tune was excellently delivered by Gaana Ghandharva Master Ghantasala and it is a boon to the listeners for ever. Thanks for keeping this song in the internet.